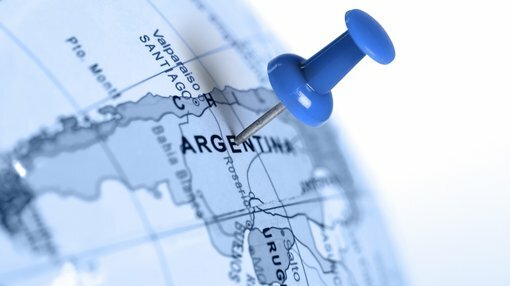 Galan Lithium Ltd (ASX:GLN) has released highly promising results from third drillhole (C-03-19) at the Candelas Lithium Brine Project on the Hombre Muerto salar in Argentina. Field measurements indicate that the upper levels of a brine bearing aquifer have been encountered in the third drillhole from depths of approximately 280 metres to the current depth of approximately 310 metres. Importantly, this drillhole is approximately 2.5 kilometres south-east of the maiden drillhole which provided outstanding results including an intercept of 192 metres at 802 mg/l lithium with low impurities. Not surprisingly, this news has excited investors with the company’s shares up approximately 30% in morning trading. In geological terms, the sequence largely replicates that observed in the maiden drillhole incorporating a thick layer of ignimbrite lying below surficial alluvial cover. The hole then encountered a sequence of sands and clays hosting salty waters which then, at about 280 metres, turned to brines hosted within a permeable breccia-conglomerate. Conductivity measurements from brine samples exceeded the 200 millisiemens/cm limits of the field recording instrument whilst specific gravity was recorded at 1.13 grams per cubic centimetre. Brine temperatures were below 20° centigrade, confirming that the aquifer intercepted in the second drillhole, where aquifer temperatures reached in excess of 55° centigrade approximately seven kilometres to the south, has likely been diluted with localised hydrothermal waters. Galan has also now received assays from the second drill hole (C-02-19) which was completed to a total depth of 662 metres. 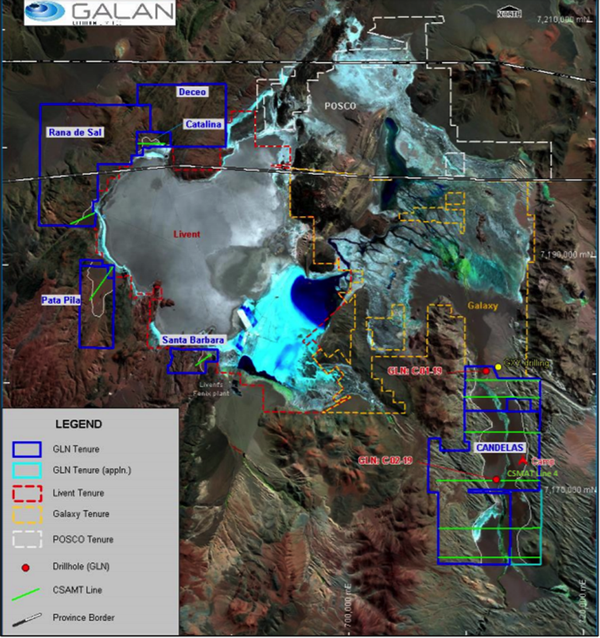 These assays confirm the field observations which indicated a lower grade lithium bearing aquifer interpreted to be due to dilution from hydrothermal waters. Commenting on the third drillhole, Galan’s managing director, Juan Pablo Vargas de la Vega said, “The discovery of further brines within the Candelas channel reinforces our view that the project has the very real potential to host a significant lithium resource in one of the world’s premium salars at Hombre Muerto. “I look forward to updating shareholders as we continue drilling the third hole”. Early stage data is promising, and perhaps an indication that further updates could provide further share price momentum. It could be argued that there is significant scope for further share price upside given that the company’s shares were sold down heavily due to disappointment regarding the second drill hole. With holes one and three now confirming management’s expectation that it is homing in on a highly promising system rather than just an isolated area of mineralisation, Galan could emerge as one of the most promising emerging players in the lithium sector.